On March 17, 2019, three-days short of his 98th Birthday, Our Irish Father, Uncle, Grandfather, Great-Grandfather and Friend, celebrated this St. Patty’s day by taking his final nap. He left us peacefully, as befits a man who showed quiet strength through all that this life had to throw at him. Born in Clyde, Texas, March 20, 1921, to parents John William McGary and Maggie Laura Copeland, Bob was Big Brother to ten siblings. The depression-era meant hardships that the McGary’s took in stride, with Bob quitting school in the 6th grade to help on the farm. 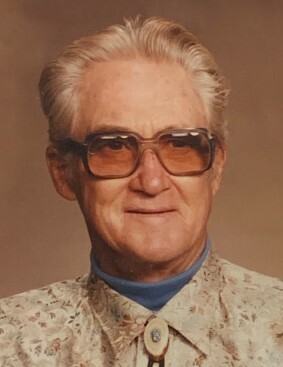 Bob only missed the softball that he enjoyed playing as a child; many years later, he still had mad skills with a softball that he loved to how to his Grandchildren. In 1940 at the age of Nineteen, Bob joined the Army, serving six years in the infantry, assigned to the ETO (European Theater of Operations). Attached to the 517th and then the 101st, Bob’s boots carried him through much of the war in Europe; part of the occupying force in Sicily, then Naples and Rome. Then in 1943 while stationed near Rome Italy, he earned his Paratrooper wings. He was part of Operation Dragoon as the Allied forces invaded Southern France, and eventually earned his Purple Heart at the infamous Battle of the Bulge; pushing the Nazais back to the East through the snow-packed forests of Belgium. The recipient of a Bronze Star with a “V” device (denoting Valor in Combat), Bob was always humble about his deeds, choosing to focus on the human aspects; the people he knew, and the way the experiences shaped him. But oh how we love his stories of those days. In 1946, Bob “re-up-ed” for 3 more years, serving as a Mess Sergeant (Cook). Most of us know his bread, rolls, biscuits, and everything else he could make from a little flour and some water. Bob’s handiness in the kitchen was ever-present as the family grew, and who can ever forget Bob’s famous “Cayenne-Pepper shots”? Bob would insist to this day that his longevity was due to a little cayenne pepper in water every day. Bob’s days in the military were only the first of many occupations Bob enjoyed; having spent entire careers in both the Railroad and the Oil-Rig industries. He somehow found time to also work Undercover with the D.E.A. in Arizona, which carried many more stories for us to enjoy. As Bob “slowed-down”, most around these parts knew him as the “Snow-Cone Man”, as he and Trinidad drove the streets of Carlsbad. Bob’s Marriage to Elizabeth brought his first child, Bill, who also waits for his Father on the other side. In 1960, Bob married the Love of his Life, Trinidad Torres McGary, who preceded him in death in 2017. This union merged two families into one, with Trinidad & Bob’s children; Sophia (DeLeon), Bill, Edward, Patricia (Saldivar) and Ralph, then growing the family to include three more: Lillian (Miller), Cyndi, and DeaEsta (Solomon). The McGary clan has grown from there to include twenty Grandchildren, many Great grandchildren, and even more who call themselves part of the family. Bob was always a religious man, with stories of times when divine providence saved his life during WWII. In the ‘70s, The Bob & Trini McGary family joined themselves to the Church of Jesus Christ of Latter Day Saints, where for the rest of their days they remained as active as their health would allow. Though Bob would never be accused of being a saint, he loved God, and he showed it in the way he treated others with honesty, kindness and generosity, even when he didn’t much care for them. Bob’s legacy is strength and perseverance. He believed, and taught us all, that “you can do anything, if you hold your kisser right”.